The Celtics were completely silent this year at the NBA trade deadline, which expired at 3 p.m. on Thursday, and I’m not technically upset about the inactivity; I said on Wednesday that I didn’t think they should do much at all, and that’s exactly what they did: diddly squat. Not one move, not even for cap space or “future considerations,” was made by Danny Ainge on Thursday. Three of the other top-five teams battling for position in the East with you right now did make a move this week, however. And each of those moves was pretty significant, only improving each of those squads, which is a bit unsettling. Already loaded with three studs in Joel Embiid, Jimmy Butler, and Ben Simmons, the Sixers added a guy who most casual fans may not know, but he is one that definitely now turns them into a “Big Four.” (That’s also not even counting J.J. Redick, who’s averaging 18 points a night. So, maybe even “Big Five” is more appropriate.) 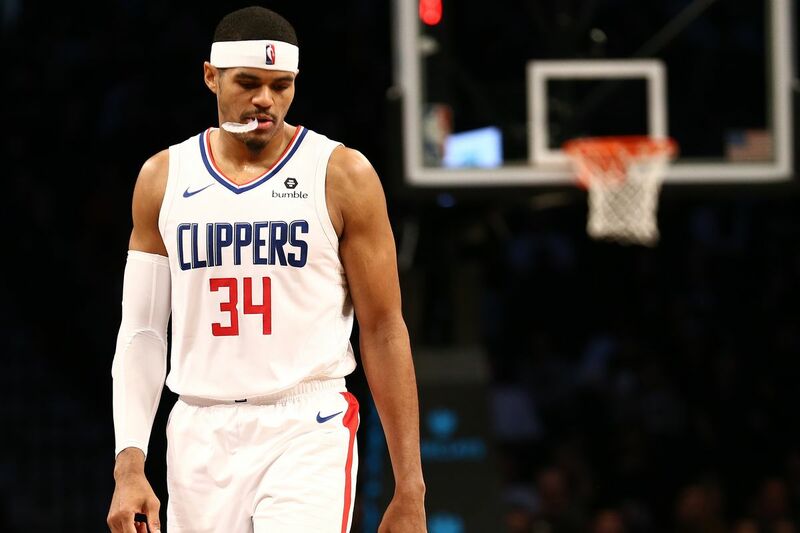 Harris’s career 15.3 points-per-game average might not be super impressive, but the 26-year-old forward did just average over 20 a contest in his 87 games with the Clippers. He’s also shooting a sparkling 43.4 percent from three-point range this season. The point is, the guy is another legit scorer for Philly, and he’s just one more piece to worry about. Sure, you beat them in five games in the Eastern Semis just eight months ago, but they didn’t have Harris (or Butler, for that matter). OH, and on top of that they added some bench depth with a few other deals too. Last year, they were talented and hungry but inexperienced; this year, they’re loaded and ready to battle with pretty much anyone. Philly got better this week, guys – a LOT better. After already nabbing a former Defensive Player of the Year this offseason in Kawhi Leonard, the Raptors went out yesterday and got another one by acquiring Marc Gasol from Memphis. Sure, he’s now 34 years old and it’s been six seasons since he won the award, so maybe he’s not quite as much of a force as he used to be. Still, though, I think talk of his “decline” has been highly exaggerated. His 15.7 PPG this year are right in line with his career average (15.2). Already a stellar rebounder, Gasol has also increased his output on the glass over the past two seasons, currently grabbing 8.6 rebounds a contest. (And if there’s any area in which you can attack this Celtics team, it’s down in the post with big bodies.) He’s also an elite passer through whom the entire offense can run when Leonard and/or Kyle Lowry need a rest. Already a top-10 offensive and defensive squad, Toronto is only further enhanced in both areas with Gasol. Even worse, much like Philly, they barely needed to give up anything in order to bring him in. (Jonas Valanciunas is a fine young player and still only 26, but you can find at least 15-20 other similar guys throughout the league. He’s a dime a dozen, and he’s nowhere remotely close to as good as the guy they just got to replace him in the lineup.) Currently sitting No. 2 in the East, things just got even better for fans up in The 6. I’ve always been a huge fan of Nikola Mirotic ever since he came over from Europe five seasons ago, even though this is the second straight year that he’s been dealt at the deadline. (He spent his first three seasons in Chicago before being dealt away to New Orleans last February.) 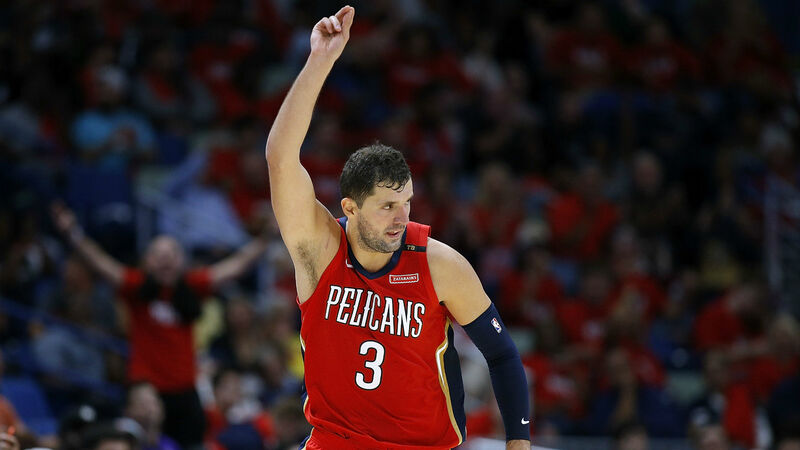 A career 35-percent shooter from deep, the 6’10” stretch forward is taking over seven treys a game this year (on about 13 total shots per contest), so he will fit in perfectly on a Milwaukee team with the second most three-point attempts in the league. He’ll also open up even more space on the floor for MVP candidate Giannis Antetokounmpo. (That is absolutely frightening to think about.) And he’s a pretty decent rebounder, too. In sum, without trying to sound like a broken record, he is another guy who simply makes the team he went to immensely better than they already were. As you can see, things really did just get a whole lot tougher for the Celtics in the East. The only other current top-five squad in the conference who did not make a big move this week was the Pacers, who now sit in front of the Celtics as the No. 3 seed after the Green’s loss to the Lakers on Thursday night. There were also two other moves I want to highlight. These trades may not necessarily affect the Celtics all too much on the floor this season, but they still carry some noteworthy significance. This was a trade between two Western Conference squads, one of which owes the Celtics their first-round pick next season; unfortunately, that team (Sacramento) is the one that got the better end of this deal. After serving as no better than the fourth-best option on a loaded Golden State roster for four years, Harrison Barnes finally got his chance to be a leading man when he signed a big free-agent deal with Dallas just before the 2016-17 season. And he’s rewarded them for doing so with over 18 points and five rebounds a night in 2.5 seasons. But, after acquiring Kristaps Porzingis last week, the Mavs needed to clear some space to re-sign him for the long-term. It’s going to be the Porzingis/Luka Doncic show in Big D from here on out, which meant Barnes needed to go. So, the Kings, who are playing wayyy better than anyone thought they would this season (No. 9 seed in the West), just got an All-Star caliber player for nothing more than an expiring contract (Zach Randolph) and a decent young player (Justin Jackson). They’re not a legit contender by any means, but they’re also not the bottom-feeder everyone expected they’d be. Therefore, their solid play has only continued to devalue the once-expected-to-be-premiere bargaining chip the Celtics thought they’d have in their pocket heading into this offseason. Barnes is only going to further enhance that issue. Even though the Celtics were not involved in this trade in any way, shape, or form, there’s no doubt that the clear-cut winner here was Danny Ainge. “Trader Danny,” the man whom has repeatedly swindled other GMs throughout the league – on numerous occasions – has done it again! 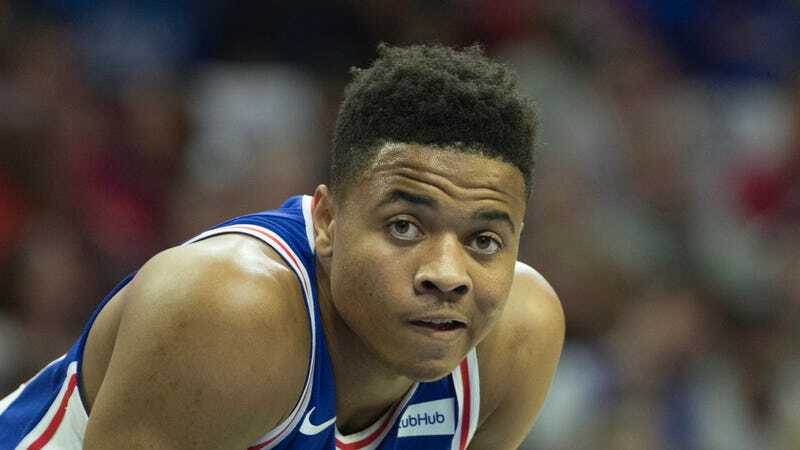 After being in prime position to take Markelle Fultz – the unquestioned No. 1 prospect in the 2017 draft whom the rest of the league was salivating over – Ainge traded away the pick to Philly in exchange for the No. 3 pick that same year as well as a future first-rounder (which will likely turn out to be the Kings’ pick mentioned before). He was BLASTED by many in the media for trading away the top pick and the chance to land a “generational talent.” But what has Fultz done since entering the league? He’s played in a total of 33 games, shooting 41 percent overall and averaging just under eight points a game. Even when he has played, he’s looked completely lost at times, and many have seriously questioned his mental toughness. Maybe a change of scenery will help, but so far he’s been a real dud. Oh, and that No. 3 pick the Celtics got in that previously mentioned trade only turned out to be JAYSON TATUM. In the grand scheme of things, this deal doesn’t really have much impact on the Celtics either now or going forward, but Danny’s gotta feel prettayyy, pretttayyyy, pretayyyy good about this one. So, even though the Celtics stood by and minded their business this week, it’s clear that the same certainly can’t be said for others around them. It’ll be interesting to see just how big of an impact each of these guys has in their new home. Regardless of what happens, though, at least we know we’re in for a fun second half of the NBA season! This entry was posted in Celtics, NBA and tagged Boston Celtics, Celtics, Celtics Rumors, Celtics Trade Deadline, Celtics Trades, Celts, Harrison Barnes, Marc Gasol, Markelle Fultz, NBA, NBA Rumors, NBA Trade Deadline, NBA Trades, Nikola Mirotic, Tobias Harris. Bookmark the permalink.